I didn’t want to like Instagram stories, not one bit. I think it’s not very nice of Instagram—which, if you don’t remember, is owned by Facebook—to basically rip off the concept of a smaller competing app for its own benefit. 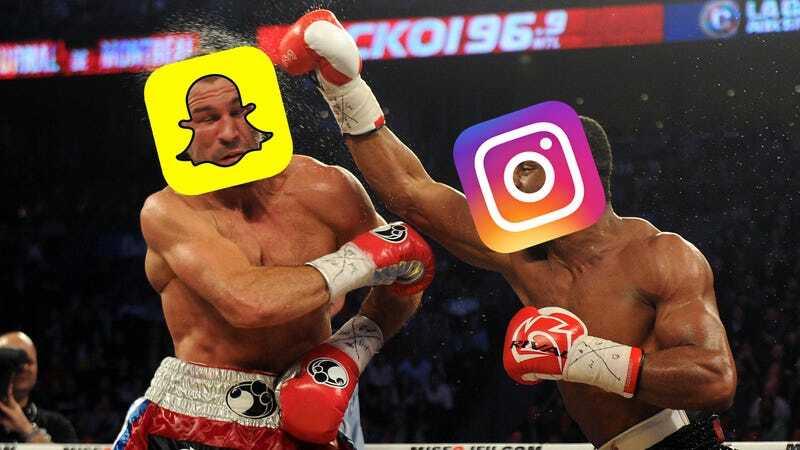 Instagram has 300 million daily active users, while Snapchat has half that. Still, here I am, already four images deep in my first ever Instagram story—I have yet to update my Snapchat story today—and I must admit, dang Instagram, you did goooood on this one. Ripping something off is wrong and bad, but Instagram CEO Kevin Systrom spins it like this: “This isn’t about who invented something. This is about a format, and how you take it to a network and put your own spin on it.” Can’t argue with that. There are also more options with the drawing tools on Instagram, although you have to choose from a selection of preset colors. You can make your drawings look like neon lights, which I like because who doesn’t think neon is extremely cool and incredibly fun? Instagram still doesn’t have lenses, which is one of Snapchat’s most popular features; however, I imagine Instagram will soon add if it really wants to make Snapchat obsolete. After all, Snapchat launched Stories in 2013 and it took them two years to get lenses. Instagram Stories launched today, and aside from missing that essential feature, it seems to be running very smoothly. Moreover, Instagram Stories are intuitive, easy to use, while Snapchat is more complicated, especially considering how difficult it is to add new friends and find celebrities. Still, Instagram doesn’t have the same messaging capabilities as Snapchat, so it’s more difficult to seamlessly transition from viewing someone’s story to chatting to sending nudes that will soon disappear unless someone takes a screenshot. Correction, 8/2/2016, 11:42pm: I think everyone has the Stories feature. Guess I’m not a true techfluencer.